This entry was posted in Animal Abuse, Animal Shelter, Animal Welfare, Galgos and tagged Abandoned Dogs, Animal Rescue, Animal Shelter, Plight of Galgos, Shelters and Rescues, Veterinarians, Volunteering in Animal Welfare. Bookmark the permalink. The galgoes suffer emensly but so do racing greyhounds often exported to places such as Spain where they suffer as much as the galgoes and for the same reasons. The galgo espaniol is a native Spanish breed of sighthound and are thus in the same group as the real greyhounds. If you translate galgo it dosen´t mean greyhound but sighthound and let me remind you that it is a fairly large group of canines known for their streamlined bodies built for speed and one more feature of this group is that they hunt by sight and run extremely fast. 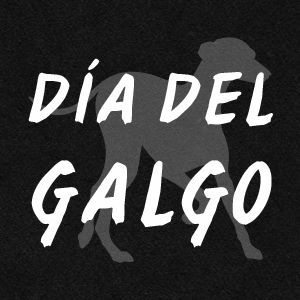 The galgo Espaniol is a long distance hunter like the Saluki. The greyhound known in Spanish as “galgo Englaise” is a sprinter and far exeed the galgo´s speed limits at shorter distances. Greyhounds are the second fastest landanimal on earth only superseeded by the cheetha, I think its important to know the diffrences between the sighthound breeds so we all know which breed we are refering to. The galgoes need much better protection from harm they need the laws to be enforced they should be protected better than they are at this point in time. Personally I think that hunting with galgoes and racing both them and greyhounds should be banned world wide not just in one place but the entire world. We have no more use for animal abuse and this is the worst kind of mistreatment and abuse there is. Thank you for this very informative text about these beautiful creatures. We fully agree with you that animal abuse is the worst kind of mistreatment in the 21st century and needs to be halted.